"As a prisoner for the Lord, then, I urge you to live a life worthy of the calling you have received. Be completely humble and gentle; be patient, bearing with one another in love. Make every effort to keep the unity of the Spirit through the bond of peace. There is one body and one spirit - just as you were called to one hope when you were called - one Lord, one faith, one baptism; one God and Father of all who is over all and through all and in all." #1. I have a theory that Believers often base their theology as much, if not more so, on their personalities and/or "The way their brain is wired," as much as they do the "Truth" that they see in scripture. When you get past the basics of Christianity, you can get into some odd stuff with lots of nuance. That's when I am fairly convinced that my theory kicks in. The "EmergING Church" or "EmergENT Church" is a term that can cause many to go into fits & seizures at the very mention. At my old church, I first heard that phrase mentioned in hushed tones as though one were speaking of Suaron in Lord of the Rings. I didn't know a thing about it, and I really didn't pay much attention. So a few years later, I was at my local "Christian" bookstore and the manager there told me about this guy named Rob Bell. I ended up taking a chance and buying his video "The Gods Aren't Angry." It blew me away. I had never, ever heard the Gospel presented in such a creative and beautiful way before. Naturally, I became a fan...and according to some out there, I also became a HERETIC! For the record: Never, ever tell me that I should stay away from any particular thing, idea, book, whatever, because it is "Controversial." That's like waving a red flag in front of a bull for me. Anyway, so I get all excited about Rob and his stuff. I get more videos, a few of his books, and I even start downloading podcasts from Mars Hill where he preaches. I had no idea that Rob was supposed to be controversial at that time. I've yet to ever fully agree with any theologian or pastor anyway, and since that's never bothered me I didn't toss out Rob just because I didn't see eye-to-eye with some of his thoughts. I just thought he was really onto something in the way he presented the Gospel to people who are really, really jaded. I figured that I should do some exploring of this movement so that if asked I could give an informed opinion. (Honestly, most folks who speak on any given subject really haven't bothered to do their homework. I come off pretty dim a good deal of the time anyway, so I figured I wouldn't add more fuel to that fire.) It's been about 3 years since I began to look into all of it, and I have come to some conclusions. Anyway, here is an example of what I mean by coming off sounding foolish. Please understand, I have profound respect for John Piper. He is my christian brother. (I used to attend HIS church.) But I also have profound differences of opinion with him. I find him to be a very brilliant thinker. That is why I find this statement so frustrating. He just blankets the entire thing with a trite response. However, this leads me to the next thing I've noticed. Just try to draw a picture of this in your head. Obviously, that's a pretty blunt breakdown of what I've noticed. Also, there will always be exceptions. I had a Prof back at Bethel who was a hard-core Calvinist who was also an avowed Socialist. Still, after watching all of this for a couple of years now, I have to say that this really is what I see. 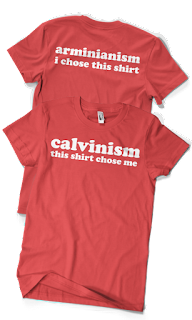 If you are a Calvinist, you will tend to lean to the right on most issues, and kind of slide down that slope from time to time. Arminians tend to go in the opposite direction. What is most fascinating to me is that most of us...myself included, do all of it unconsciously. It rarely occurs to most people how our "Truth" is built upon a many layered foundation that we simply take for granted. Where ever we may be in our walk with Christ, we do need to bear each other in love. We need to be humble. Jesus ultimately is "The Truth," not our finite little theologies. None of us is wise enough to think we have the God of the universe nailed down. And there is not one person out there that will ever have the Bible so fully figured out that he/she can think they have every answer. (Unless you are John MacArthur.) In the mean time, just keep the faith...in love. Because there is only one Lord for all of us. Anyone interested in more info on the "Emerging/Emergent" church can check out this link. http://en.wikipedia.org/wiki/Emerging_church I found it to be a fairly good overview. Never treat your theological distinctions as your weapon of choice to beat up your fellow Believers. Which brings up an obvious song to end this post with. Hey, it's just a thought. I don't really know. 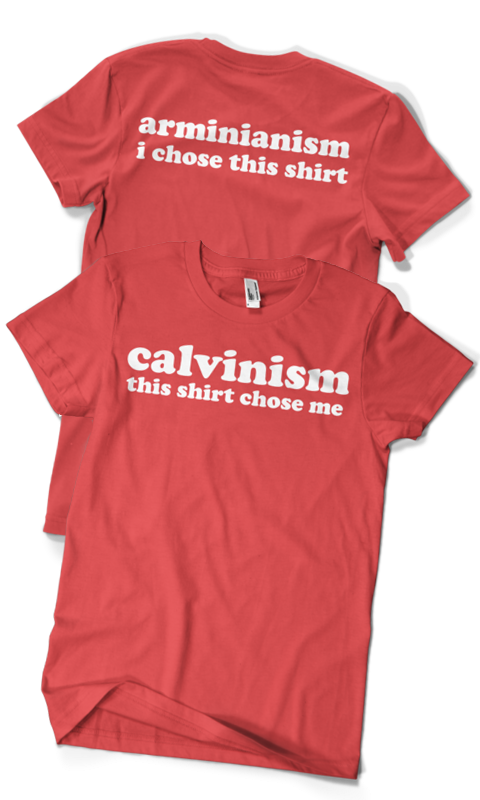 I'm not a Calvinist or an Armenian. I think they're both wrong. I completely agree that I've never listened to, nor read books by ANYONE with whom I agree on everything. Yes, we "think" many things without thinking about why we think what we think. We think we know why we think what we think we think. But as Michael Dowd said, "We don't THINK our assumptions. We think FROM them." I'm all about agreeing to disagree, but believe me, there are many (mostly Fundies from MY experience) who actually get very angry at the thought of "agreeing to disagree." They have to be right. Period! ANYWAY, good thoughts and a good post.